The Swivl is a motion detecting device that is designed for shooting video using your iPhone or iPod. 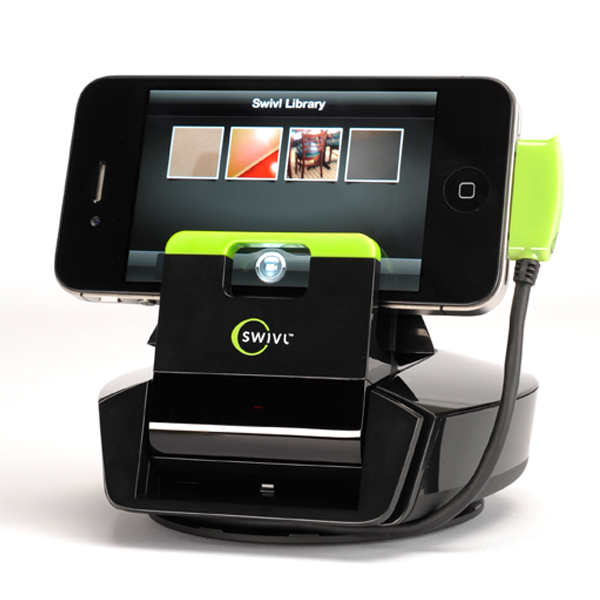 To use the Swivl you first download the Swivl app then attach your mobile device to it. The Swivl can track your movements at up to 10 meters away and will rotate in 360 degrees as you move. There are currently two versions of the Swivl to be released at the end of this month. One goes for around $179 and is capable of recording sound. The other is $129 and does not record sound. Lakshmielectro is an authorized dealer of GIVI Measure Products, Sew Eurodrive GMBH, Delta Tau (Switzerland), Weicon (Germany) Wire Stripping Tools and Machine Tool Retrofits with Fanuc/Siemens.